Data objects are tables that store raw data in the database. 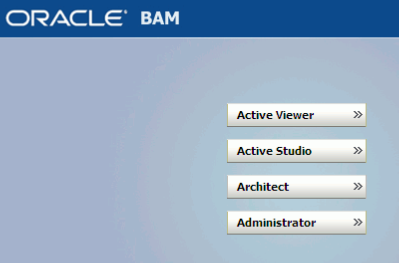 Each data object has a specific layout which can be a combination of data fields, lookup fields, and calculated fields.Whenever we are connecting to BAM we are sending data to Data Objects. Below is step by step process to create Data Object. - From Drop down select "Data Object"
- Click on "Create subfolder" if you want to create Data Object in different folder. Or you can choose any exiting folder. 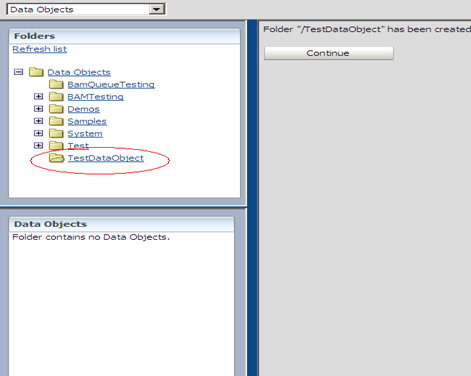 - We will create Data Object inside "TestDataObject" subfolder that we created above. 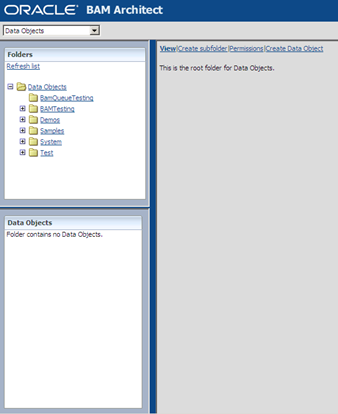 - Click on "Create Data Object" to create new Data Object. - Enter Data Object Name, Tip text and Description as per your requirement. 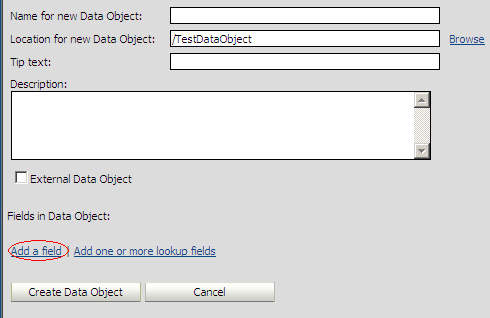 Click on "Add a field" link to start adding new fields to newly created Data Object. 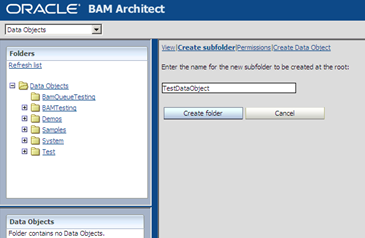 - Add Required fields in Data Object and click on "Create Data Object" button to complete Data Object creation process. - Data Object successfully created.